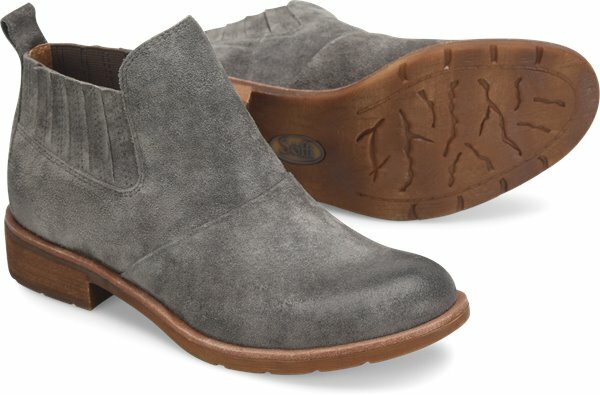 Product description: A beautifully-crafted essential bootie with waterproof leather and covered stretch gore that slips on with ease. I love these shoes, they are very comfortable from the first day. The leather is beautiful. I absolutely love these boots! 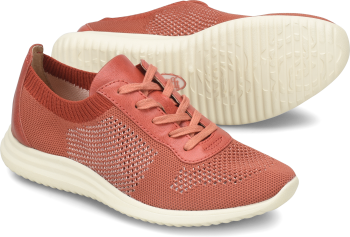 They are very comfortable and have good cushioning. I have them in tan, gray and green suede. Please make them in black suede. Can’t say enough about these shoes. I am absolutely in love with them. 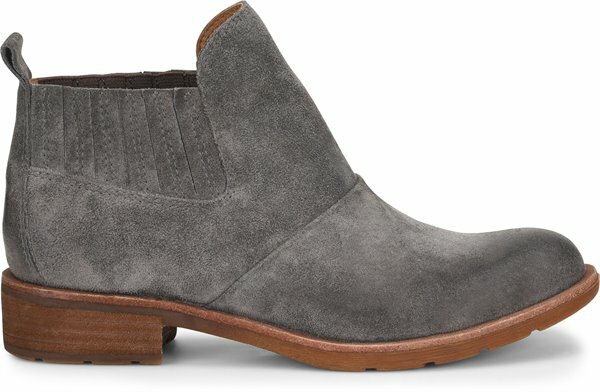 Looking to buy another pair in a different color. When will you make these in a soft black black suede and some spring colors maybe taupe or soft rose pink suede or lighter soft gray!!! I know I've told you several times how great these boots are but please consider these are just simply the best boot I've ever owned. It's like I want to stock up so I never have to worry about never having a pair to wear! 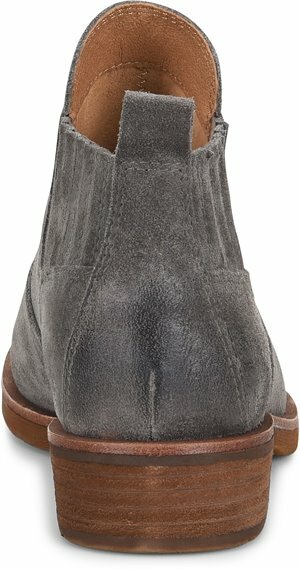 These boots are amazing, I purchased grey and brown suede SO wish they would make these a deep pretty black black suede....I cannot say anything negative about them. I hope they stick around awhile and decide to make a black suede!!! 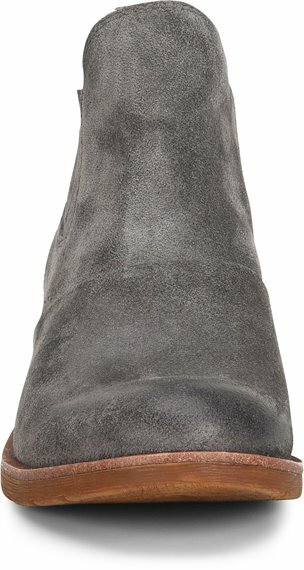 I SO wish you made this boot in a black suede!!!! Please consider these are just the absolute best. 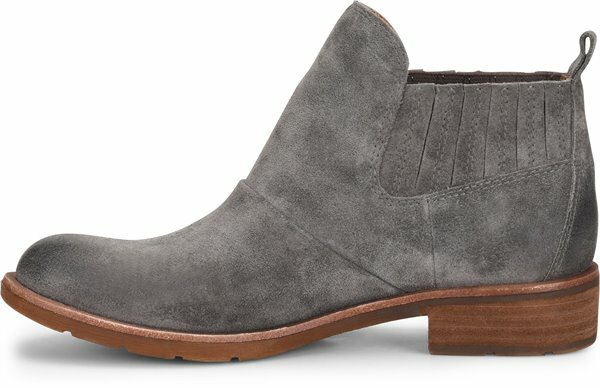 I wore these booties in the UK for all of my outings and was completely amazed! They are VERY comfortable and kept my feet warm and dry while walking all over England and Ireland. They were versatile too. I wore with them with skinny jeans, straight leg jeans and a dress. Love them! I have a narrow foot and heel also. So far these fit great! 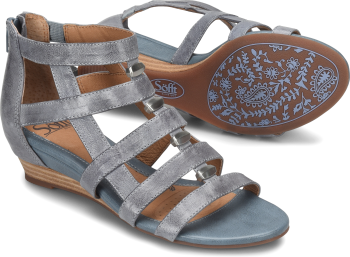 Cushioned footbed adds to comfort. My ankles are small and the top of boot is narrow enough even with a size 10 boot. A knee sock fits well in it. 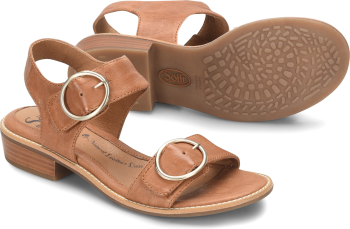 And I’m hard to fit so will start using Sofft again.